Play the FREE Treasures of Troy Pokies Game by IGT - Top Slots Fun. Treasures of Troy is an free online pokies game developed by IGT. It has a historical theme with symbols that tell about the story of the fallen city of Troy (aka Turkey). The game has five reels and 1024 paylines. The graphics are high in quality for it’s age and you can even choose whether to have the best or lower the quality depending on the device you are using to play. The audio is lively, clear and thrilling. In the game there are symbols include two male soldiers (one with a helmet and the other without) and a woman, a hemet, sword and letters J, K, A, and Q. The wild is the Treasures of Troy’ logo while the scatter is the wooden horse symbol. To play the game, the bets can be set between £0.01 and £500 per spin or per payline. Once the bet amount has been selected, press the spin or auto-spin’ button and hope to get a winning combination. To win, you will need to have the same symbol in adjacent columns. Having the similar symbols in a column multiplies the rewards you get. The wild can appear on columns 2, 3, 4 or 5 replacing all symbols except the scatter. It increases the chances of winning. How much can you expect to win? This will really depend on your luck and how much you are willing to bet. Obtaining two or more scatter symbols on column 3 triggers a free spins bonus round. Two such symbols will give you 10 free spins whereas 3 and 4 reward with 15 and 20 free spins respectively. You can get even more free spins if you land 2 or more scatter symbols on column t3 during the free spins bonus round. 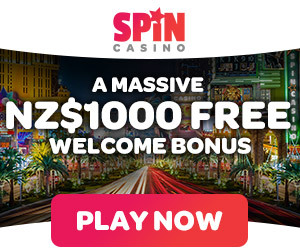 With these free spins you will be winning more. A unique feature that this game has is called the Multiway system which is an IGT trademark. Players are required to stake a little more money and they will play the multiway 1024 paylines (otherwise they will be playing 40, 10, 20 or 1 paylines). With many ways of winning, people win easier and more with this mode activated. This slot is a great one and will provide you with the entertainment you need. It looks good with perfect graphics and sound while the free spins feature is lucrative. Play the 1024 paylines game and your chances of winning will be increased greatly. If you love historical slots that can allow you to win big this is a good choice.